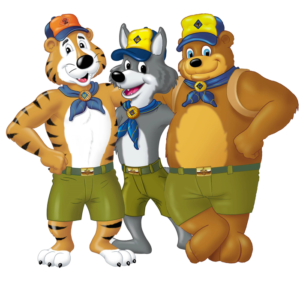 The list below are links to resources that I have compiled over the years of being a Cub Scout leader. Some are downloads you can reference, some are links to publications sold by BSA, and some are unofficial sites with a lot of good information. If you know of a resource that has been helpful to you, please post information about it in the comments below. *** NOTE *** Some of these publications were written for the old program (pre-2015) and might reference things like beads and arrow points (both are no longer part of the program), but most of the ideas can still be utilized with minor modifications to fit the current program. *** NOTE *** When accessing any information about requirements, the Handbook or Addendum is the authoritative source. Some sites may still have information about the old program (pre-2015), so always double-check.